A loaded container handler is a forklift that is specifically designed to maneuver heavily loaded containers and stack empty containers. Loaded container handlers are made for maximum efficiency in handling containers. These machines move with exactness and are very precise when it comes to moving the containers. They are safe and extremely helpful in any job. Loaded container handlers are available from Intermodal Equipment Exchange in two models. We offer handlers that are able to stack empty containers and handlers that are able to lift and move heavily loaded containers. Because both of these jobs are much different, the handler is different in design and functionality. However, both models are very responsive and can maneuver with ease through any job site or situation. They are durable and stable due to the magnitude of what they are lifting. Full capacity container handlers are powerful machines that operate at a high-performance standard with extreme solidity. These machines can lift up to approximately 45 tons and up to five containers high of fully loaded containers. 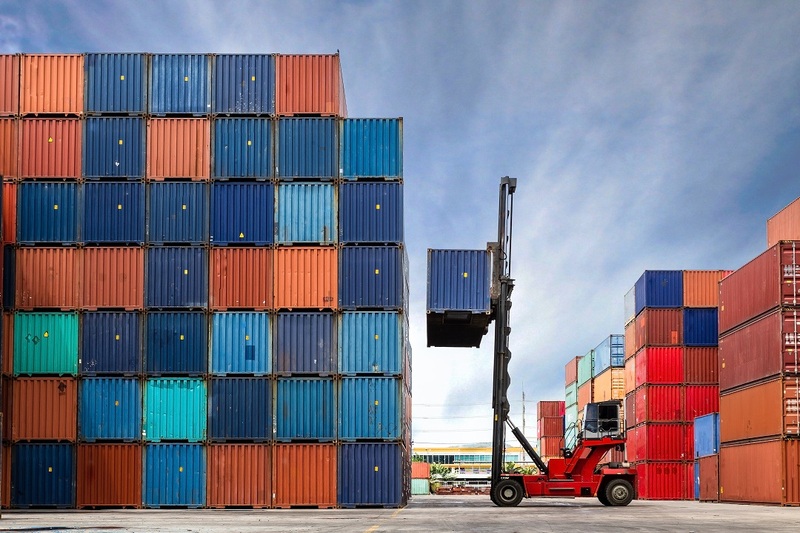 Empty container handlers are quick, nimble, and precise when it comes to stacking empty containers. These machines can stack up to approximately eight to ten tons of weight and up to four to eight containers in one stack. They are made to be extremely durable and long lasting. As mentioned above, one benefit of a container handler is the long service life it offers. Because these machines are so durable, they typically last very long and you can truly get your money’s worth out of these machines for a very long time. On top of that, container handlers are very low cost to operate, thus saving you, even more, money after the initial purchase. They work efficiently and effectively, precisely moving the containers around with ease. They complete all of the work of loading, unloading, and stacking in record time and are very safe for the operator. The cabs of these containers are also designed with the operator in mind, as the operator is spending a great deal of time in the cab. The cabs are designed to decrease driver fatigue which in turn increases productivity. A loaded container handler would be a smart addition to any business in need of one. Contact Intermodal Equipment Exchange to purchase yours today!